My definition of work is much different than it used to be. When I was going into the office every day, I'd follow the same routine. My morning regimen would usually include a workout and shower, followed by a train ride into the city. Now that the world is my office, the flow of my day can be very different. The consequence of having a less structured schedule is that my posting frequency has (slightly) suffered. Due to this, I couldn't find the time to write about a treadmill run that was almost exactly the same as the one I ran the day before. So here's a recap: I turned on the treadmill, ran about 30 minutes, then stopped. For details, see my prior post. Today was different. I had a mid morning appointment, so I did an early run outside. It was my first outdoor run since Tuesday, and I appreciated the sunny and warm conditions. I spent most of my time on the road, rather than the sidewalk, and I'll admit that I preferred it that way. It wasn't an easy run and I'm not really sure why. I can't blame it on hard work, as my pace was exactly average. 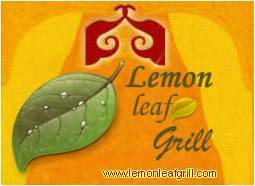 Since I now follow a variable schedule of my own design, my wife and I took a time-out for lunch and headed to the Lemonleaf Grill (my favorite Thai restaurant in the area). Soon after that, it was back to business, but only through mid-afternoon. It was a beautiful day so I decided to start my weekend early. After all, a variable work schedule also means variable leisure time. Another one of my favorite restaurants. I love the chicken Pad Thai! I'm a fan of their Panang curry, although they never make it as hot as I'd like.